The Rolling Stones have extended their No Filter tour with the addition of new dates in the UK, Ireland and Europe this summer. The 11-show series will begin at Croke Park in Dublin, Ireland on May 17 and be followed by the group’s first appearances in the UK in five years; stops in Germany, France and the Czech Republic will precede the trek’s finale in Warsaw, Poland on July 8. "It’s such a joy to play with this band there’s no stopping us,” adds Keith Richards, “we’re only just getting started really." 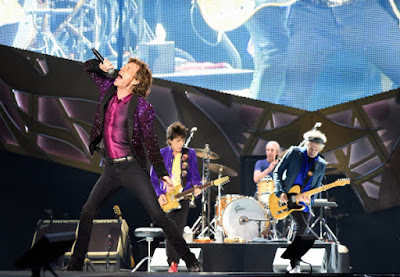 A Rolling Stones fan club presale for most shows will begin Tuesday, February 27 at 12PM GMT, while general public tickets for the UK, Germany and Poland dates will go on sale Friday, March 2 at 9am GMT, with France on sale Friday, March 16 at 9am GMT. The Rolling Stones recently released “On Air”, a collection of live recordings of the group between 1963 to 1965 from a variety of BBC shows from the era. Last month, the group won a Grammy Award in the Best Traditional Blues Album category for their 2016 covers record, “Blue & Lonesome”, at the 60th annual Grammy Awards in New York. Recorded over three days in December 2015 at British Grove Studios in West London, the band’s first studio album in over a decade featured a pair of guest appearances by Eric Clapton and updated versions of tunes originally recorded by blues legends Willie Dixon, Howlin’ Wolf, Little Walter and Magic Sam, among others.